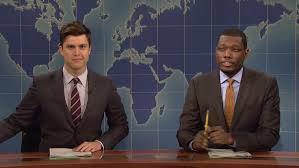 Tonight, NBC will offer up the premiere of SNL's 'Weekend Update' at 9/8c. The long-running SNL sketch will be extended to 30 minutes and run for 4 episodes for a special summer edition. Predict the premiere ratings below.